The Rio declaration contains 283 paragraphs of blank prose that ‘reaffirms,’ ‘notes,’ and ‘acknowledges’ a long shopping list of activities, but ‘commits’ to virtually nothing. There is no program of action, figures, dates, targets, nothing at all that locks countries into taking action. 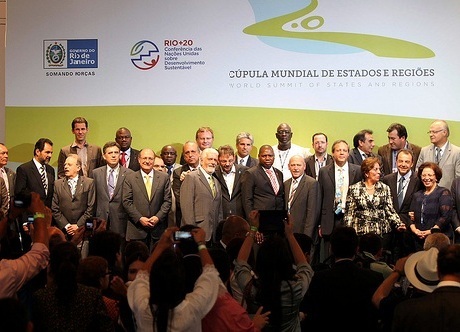 It is a political non-event that turgidly regurgitates some of the sustainability-speak of the original Rio conference 20 years ago, with none of its ambition. Despite that, there are a few straws for optimists to clutch at. 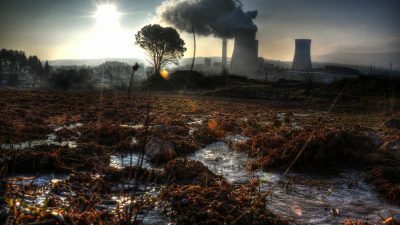 The most significant-sounding, from an environmental perspective, is that the text ‘reaffirms’ a commitment to ‘phase out harmful and inefficient fossil fuel subsidies.’ This references previous statements released by the G20, the group of 20 countries accounting for over 80 per cent of the global economy, but it is the first time fossil fuel subsidies get such a mention in a document with multilateral sign-ons. However, no practical, legal or financial provisions are envisaged to support this goal, and the proposal lacks any nuance. Fossil fuel subsidy removal is likely to fail unless it is phased in while subsidies are shifted towards support for public transport and renewable energy development, as popular backlash against recent attempts to remove fossil fuel consumer subsidies in Bolivia and Nigeria make clear. Meanwhile, significant subsidies for fossil fuel producers in industrialised countries, which should be the first target for action, remain in place, while the Rio declaration simultaneously supports ‘cleaner fossil fuels technologies’ (a point lobbied for by Canada, Russia and the coal lobby)—which, translated for the non-sustainability-speakers means things such as unproven and expensive carbon capture and storage technology. Elsewhere in the Rio declaration, there is a welcome restatement of the original Rio principles, notably the ‘common but differentiated responsibilities’ between countries that climate justice advocates have been so keen to defend within global climate negotiations. The ‘right to water’ is reaffirmed too, although without any new measures to enact this principle. 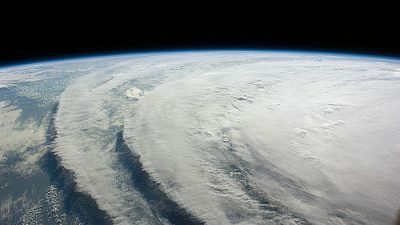 crisis that is wreaking havoc in the world today’ and undermining sustainability, as Professor Alejandro Nadal of the Centre for Economic Studies in Mexico points out. Yet finance quietly dominated from the sidelines, and to historians looking back on Rio in 20 years time, it may well be that the most significant agreement was not the summit’s final statement itself, but a $30 billion currency swap deal between Brazil and China that was announced at a G20 side-event. Thankfully, the declaration also does not say as much as it had threatened to in terms of advancing corporate-driven ‘green economy’ proposals, which would have put a price on nature as a prelude to creating new markets in ‘ecosystem’ commodities. The G77 (a grouping of 133 developing countries, including China) blocked this language, under pressure from civil society, and the resulting agreement speaks merely of ‘green economy policies.’ That has been interpreted here as a victory for pluralism, with different countries free to define their own vision of what a sustainable economy might look like. Some residues from this corporate-driven approach can still be found in the Rio declaration, however. Although the green economy was billed as the conceptual replacement for ‘sustainable development,’ it is actually the phrase ‘sustained growth’ that has moved to the top of the rhetorical hit-parade, with 16 mentions in the text. This echoes the emphasis on ‘green growth’ in the G20 declaration, which pre-empted the Rio summit. One of the few substantial decisions, a proposal to upgrade the United Nations Environment Program (UNEP) in the pecking order of global institutions, is also a cause for concern. In theory, a beefed-up UNEP should be a welcome development, re-balancing the multilateral system to put a greater emphasis on environmental protection. But UNEP is one of the principle targets of a new global campaign, launched here in Rio, to endthecorporatecaptureoftheUN. Through its ‘The Economics of Ecosystem Services and Green Economy reports’, in particular, UNEP has positioned itself over the last few years as the main cheerleader for a corporate-driven ‘green economy’ agenda that would leave key decisions over the future of the planet to the financial sector. Moving beyond the declaration itself, the inadequacies of the Rio+20 declaration are a symptom of a broader crisis of multilateralism. Although the conference was marshaled to a conclusion without the all-night, beyond-deadline chaos of climate negotiations, it did so by agreeing only on lowest-common-denominator platitudes, and reaffirming other initiatives. The final declaration here is no less of a stalemate than those in the WTO or UN climate negotiations, and we know from those processes that multilateral stasis is a breeding ground for bilateral and regional agreements that stack the cards against poor countries. 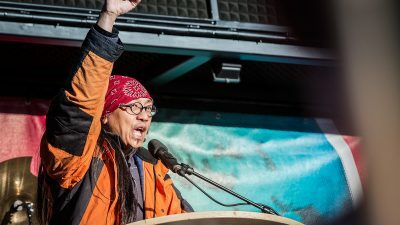 The outcomes turned the tables on Durban, with the EU expressing disappointment while the G77 was cautiously positive, but the overall results were the same: a victory for the dirty energy agenda of industrialised countries and corporations, while people and the planet continue to lose ground.